One in a Million were a 1960s psychedelic rock band from Glasgow, Scotland, that included Jimmy McCulloch, later a member of Paul McCartney's Wings, as their lead guitarist. They released two singles, "Use Your Imagination" / "Hold On" for CBS, and "Double Sight" / "Fredereek Hernando" for MGM. This has become one of the most collectable psychedelic singles, and was included in David Wells' Top 100 Psychedelic Records by Record Collector magazine. A compilation album was released in 2008, which included both their singles and previously unreleased acetate tracks. Their song "No Smokes" was used in an episode of the TV series Clangers. McCulloch also made appearances on many albums, including John Entwistle's Whistle Rymes in 1972, as lead guitarist playing alongside Peter Frampton on "Apron Strings" and "I Feel Better". McCulloch also played guitar on Roger Daltrey's album One of the Boys which was released in 1977. McCulloch was a friend of the Who and a member of the band Thunderclap Newman, which was created and produced by his mentor Pete Townshend. At age 11, he was also a protégé of the Shadows' Hank Marvin. His brother is drummer Jack McCulloch. John Alec Entwistle was an English bass guitarist, singer, songwriter, and film and music producer. In a music career that spanned more than 40 years, Entwistle was best known as the original bass guitarist for the English rock band The Who. He was the only member of the band to have formal musical training. He was inducted into the Rock and Roll Hall of Fame as a member of the Who in 1990. Whistle Rymes is the second solo album by John Entwistle, bassist for British rock band The Who. Peter Kenneth Frampton is an English-American rock musician, singer, songwriter, producer, and guitarist. He was previously associated with the bands Humble Pie and The Herd. After the end of his 'group' career, as a solo artist, Frampton released several albums including his international breakthrough album, the live release Frampton Comes Alive!. The album sold more than 8 million copies in the United States and spawned several hit singles. Since then he has released several major albums. He has also worked with Ringo Starr, David Bowie and both Matt Cameron and Mike McCready from Pearl Jam, among others. Born in Dumbarton and raised in Clydebank and Cumbernauld, Scotland, McCulloch inspired by Django Reinhardt began to play the guitar at the age of 11 and at that age, he made his performance debut as the guitarist for the Jaygars, which was later known as One in a Million. One in a Million performed live in support of The Who during their tour of Scotland in 1967. That year, One in a Million released their "Fredereek Hernando"/"Double Sight" single on MGM. The single is now highly collectable, and an expensive purchase, now classed as a classic and obscure UK psychedelic release. Double Sight, a CD compilation of these and other songs written and recorded by the band, was released in 2009. Dumbarton is a town in West Dunbartonshire, Scotland, on the north bank of the River Clyde where the River Leven flows into the Clyde estuary. In 2006, it had an estimated population of 19,990. Cumbernauld is a town in North Lanarkshire, Scotland. It is the ninth most-populous locality in Scotland, positioned in the centre of Scotland’s Central Belt. Geographically, Cumbernauld sits between east and west, being on the Scottish watershed between the Forth and the Clyde; however it is culturally far more weighted towards Glasgow and the New Town’s planners thought to fill 80% of its houses from Scotland’s largest city to reduce housing pressure there. In April 1967, McCulloch played lead guitar for the Utterly Incredible, Too Long Ago to Remember, Sometimes Shouting at People during the 14-Hour Technicolour Dream event, which was held on the grounds of the Alexandra Palace in London. That year, he played guitar for One in a Million, which performed live at The Upper Cut and other London venues. Alexandra Palace is a Grade II listed entertainment and sports venue in London, located between Muswell Hill and Wood Green in the London Borough of Haringey. It is built on the site of Tottenham Wood and the later Tottenham Wood Farm. Originally built by John Johnson and Alfred Meeson, it opened in 1873 but following a fire two weeks after its opening, was rebuilt by Johnson. 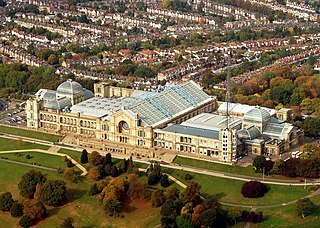 Intended as "The People's Palace" and referred to as "Ally Pally", its purpose was to serve as a public centre of recreation, education and entertainment; North London's counterpart to the Crystal Palace in South London. McCulloch first rose to fame in 1969 when he joined Pete Townshend's friends, Andy 'Thunderclap' Newman (piano) and songwriter John 'Speedy' Keen (vocals, drums), to form the band Thunderclap Newman. The band enjoyed a UK No. 1 hit with "Something in the Air" that year. Thunderclap Newman's album, Hollywood Dream , on which McCulloch's title instrumental then and his song "I See It All" later appeared, sold well but was not as successful as their hit single. From January 1971 until mid-April 1971, the band had toured England, Scotland, Holland, and Scandinavia before they disbanded a couple of weeks later. 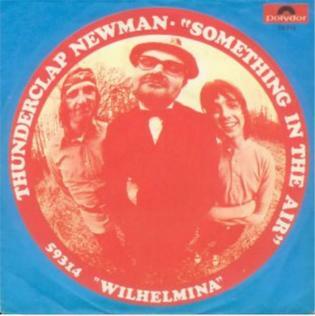 "Something in the Air" is a song recorded by Thunderclap Newman, written by Speedy Keen who also sang the song. It was a No. 1 single for three weeks in the UK Singles Chart in July 1969. The song has been used for films, television and adverts, and has been covered by several artists. The track was also included on Thunderclap Newman's only album release Hollywood Dream over a year later. In October 1971, McCulloch played guitar in concert with John Mayall and the Bluesbreakers in England and Germany. On 31 October 1971 McCulloch's band Bent Frame made its performance debut in London. The band subsequently renamed itself the Jimmy McCulloch Band and toured England and Scotland in support of Leslie West's Mountain in February 1972. By then, McCulloch had done session work for Klaus Voorman, Harry Nilsson, Steve Ellis, John Entwistle, and others. Harry Edward Nilsson III, usually credited as Nilsson, was an American singer-songwriter who achieved the peak of his commercial success in the early 1970s. His work is characterized by pioneering vocal overdub experiments, returns to the Great American Songbook, and fusions of Caribbean sounds. A tenor with a 3½ octave range, Nilsson was one of the few major pop-rock recording artists of his era to achieve significant commercial success without ever performing major public concerts or undertaking regular tours. The craft of his songs and the defiant attitude he projected remains a touchstone for later generations of indie rock musicians. In June 1972, McCulloch joined the blues rock band (and fellow Mayall-school alumni) Stone the Crows to replace guitarist Les Harvey, who had been electrocuted on stage. McCulloch helped Stone the Crows to complete their Ontinuous Performance album by playing on the tracks "Sunset Cowboy" and "Good Time Girl". Stone the Crows disbanded in June 1973. In 1973, McCulloch played guitar on John Keen's album, Previous Convictions, had a brief stint in Blue and he played guitar on Brian Joseph Friel's debut album under the pseudonym 'The Phantom'. McCulloch joined Wings in August 1974. His debut track with them was "Junior's Farm". McCulloch composed the music score of the anti-drug song "Medicine Jar" on Wings' Venus and Mars album and the similar "Wino Junko" on the band's Wings at the Speed of Sound album. He also sang both. Colin Allen, former drummer for Stone the Crows, wrote the lyrics of both songs. During his time with Wings, McCulloch formed White Line with his brother Jack on drums and Dave Clarke on bass, keyboards and vocals. They played several impromptu gigs and released a single, "Call My Name"/"Too Many Miles". A 13-track album, White Line – Complete, was released in 1994 on Clarke's Mouse Records. Jimmy McCulloch and White Line had appeared on the British TV programme Supersonic on 27 November 1976. In addition, McCulloch recorded and produced two unreleased songs by The Khyber Trifles and had occasionally performed live (in London and their native Glasgow) with the band. Finally, as noted above, he played guitar on Roy Harper's album, Bullinamingvase, and Ricci Martin's album, Beached, in 1977. In September 1977, McCulloch left Wings to join the reformed Small Faces during the latter band's nine date tour of England that month. He played guitar on the Small Faces' album, 78 in the Shade. In early 1978, McCulloch started a band called Wild Horses with Brian Robertson, Jimmy Bain and Kenney Jones, but both McCulloch and Jones left the band soon afterward. In 1979, McCulloch joined the Dukes. His last recorded song, "Heartbreaker", appeared on their only album, The Dukes. A melodic, heavily blues-infused guitarist, McCulloch normally used a Gibson SG and a Gibson Les Paul, and he occasionally played bass when McCartney or Laine were playing piano or acoustic guitar. On 27 September 1979, McCulloch died of heart failure caused by a heroin overdose at his flat in Maida Vale, North West London, aged 26. He was discovered by his brother sitting in an easy chair with a burnt out joint in his hands. There were no drugs in the house, but pot, booze and heroin in his bloodstream. His brother thought it could be homicide because it looked like the place was cleaned. The rock community was shocked and saddened, however, among those who had worked with him, there was not a lot of surprise. A Quick One is the second studio album by the English rock band the Who, released on 9 December 1966. The album was also released under the title Happy Jack on Decca Records in April 1967 in the United States, with a slightly altered track listing, where the song "Happy Jack" was a top 40 hit. Venus and Mars is the fourth studio album by Wings. Released in 1975 as the follow-up to Band on the Run, Venus and Mars continued Wings' run of commercial success and would prove a springboard for a year-long worldwide tour. The album was Paul McCartney's first post-Beatles album to be released worldwide on the Capitol Records label rather than Apple. 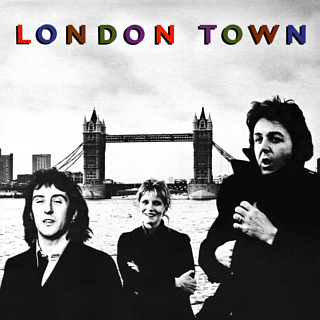 London Town is the sixth studio album by the British–American rock group Wings. It was released in March 1978, two years after its predecessor, Wings at the Speed of Sound. The album had a long and tumultuous gestation during which the band's tour plans for 1977 were cancelled, due to Linda McCartney falling pregnant with her and Paul McCartney's third child, and two members of Wings departed, leaving the band as a trio comprising Paul, Linda and Denny Laine. Recording sessions were held intermittently over a period of a year, mainly at Abbey Road Studios in London and aboard a luxury yacht in the Virgin Islands. "Maybe I'm Amazed" is a song written by Paul McCartney that was first released on his 1970 album McCartney. McCartney dedicated the song to his wife Linda. "Going Mobile" is a song written by Pete Townshend and originally released by The Who on their 1971 album Who's Next. It was originally written for Townshend's abandoned Lifehouse project, with lyrics celebrating the joy of having a mobile home and being able to travel the open road. The Who's lead singer Roger Daltrey did not take part in the recording of the song, leaving the rest of the band to record it as a power trio; Townshend handles the lead vocals, guitars, and synthesizers, with John Entwistle on bass and Keith Moon on drums. The song has attracted mixed reviews from music critics. Stone the Crows was a blues-rock band formed in Glasgow in late 1969. "With a Little Luck" is a single by the band Wings from their 1978 album London Town. "I've Had Enough" is a Wings' single from their 1978 album London Town. It reached No. 25 on the Billboard Hot 100 chart, No. 24 in Canada and No. 42 in the UK. In the Netherlands, the 2-sided single "I've Had Enough" combined with its B-side "Deliver Your Children" reached No. 13. The Wings Over the World tour was a series of concerts in 1975 and 1976 by the British–American rock band Wings performed in Britain, Australia, Europe, the United States and Canada. 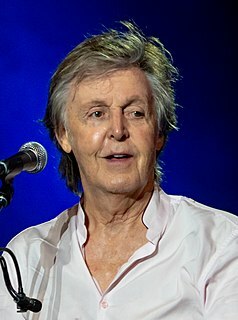 The North American leg constituted band leader Paul McCartney's first live performances there since the Beatles' final tour, in 1966, and the only time Wings would perform live in the US and Canada. The world tour was well-attended and critically acclaimed, and resulted in a triple live album, Wings Over America, which Capitol Records released in December 1976. In addition, the tour was documented in the television film Wings Over the World (1979) and a cinema release, Rockshow (1980). Colin Eric Allen is an English blues drummer and songwriter. "Bluebird" is a song credited to Paul and Linda McCartney that was originally released on Wings' album Band on the Run. According to author John Blaney, it was written during a vacation in Jamaica. However, author Vincent Benitz claims the song was written as early as 1970 or 1971, noting that Paul and Linda sang the song during a live interview in New York City in 1971. In Continental Europe it was also released as the B-side of the "Mrs. Vandebilt" single. Playmates is the fourth studio album, and the first during their reunion, by English rock band The Small Faces. The album was created by Steve Marriott, Ian McLagan, Kenney Jones and Rick Wills when they reformed in the late seventies and recorded it along with the album 78 in the Shade. Ronnie Lane left before the album was recorded. "Cook of the House" is a song written by Paul and Linda McCartney that was first released on Wings' 1976 album Wings at the Speed of Sound. It was also released as the B-side to the number 1 single "Silly Love Songs." The song was included on Linda McCartney's posthumous 1998 solo album Wide Prairie. ↑ ""Jimmy McCulloch" by Miguel Terol". The Musicians' Olympus. 11 November 1997. Archived from the original on 18 December 2007. Retrieved 29 April 2008. ↑ Article: Bell: Performance puzzling...and a plastic past, by Ian McDonald, New Musical Express , issue dated 25 November 1972. ↑ "Jimmy McCulloch". Mouserecords.kastoffkinks.co.uk. Retrieved 2015-12-20.